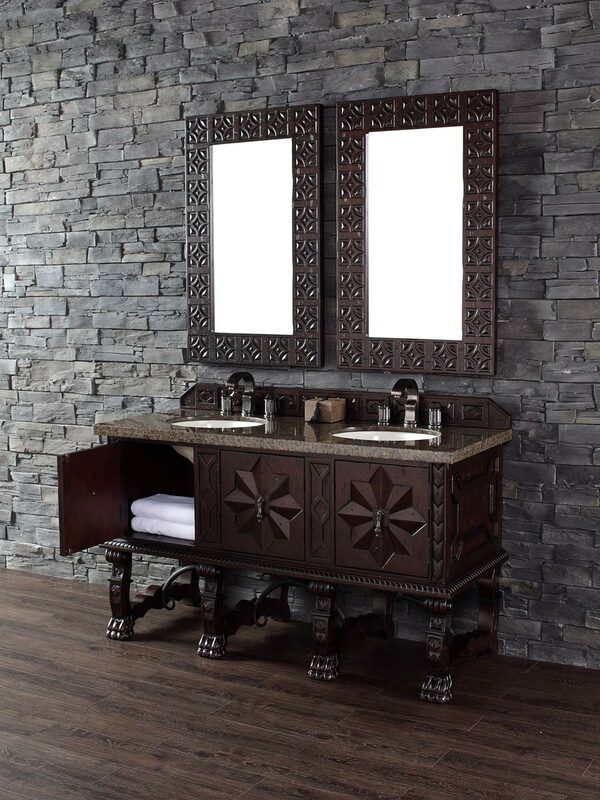 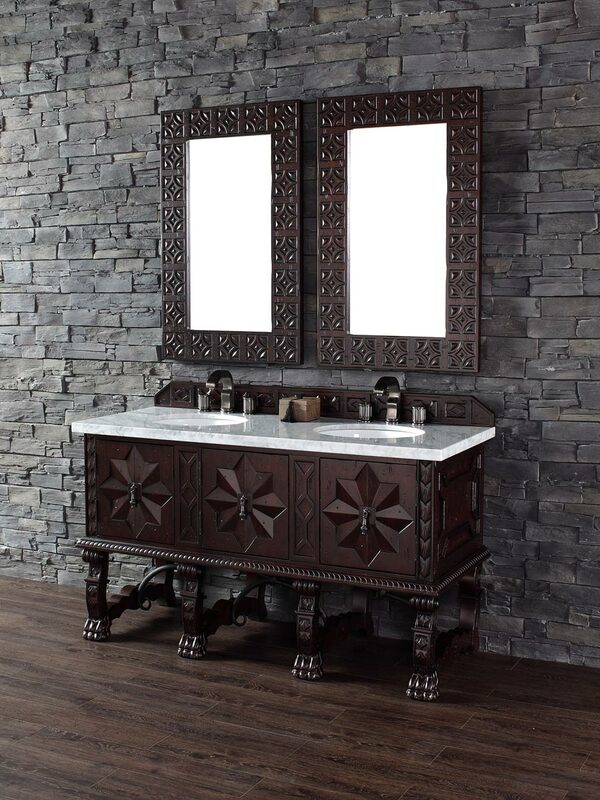 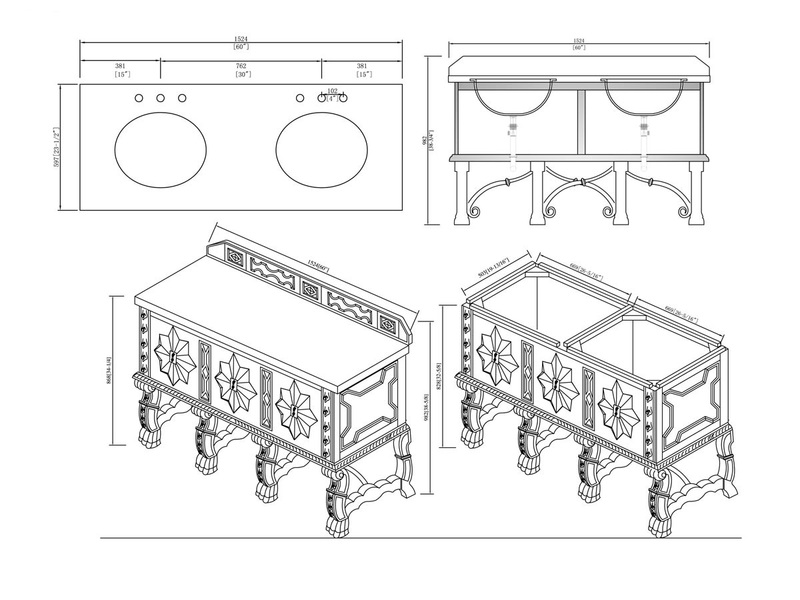 The Spanish Colonial influences of the 60" Balmoral Double Sink Vanity will emanate throughout your bathroom to give it a character of its own. 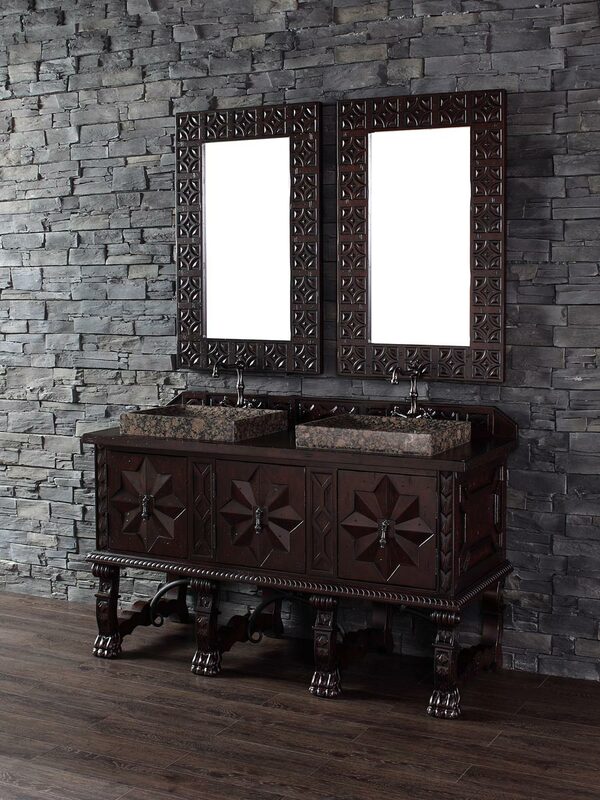 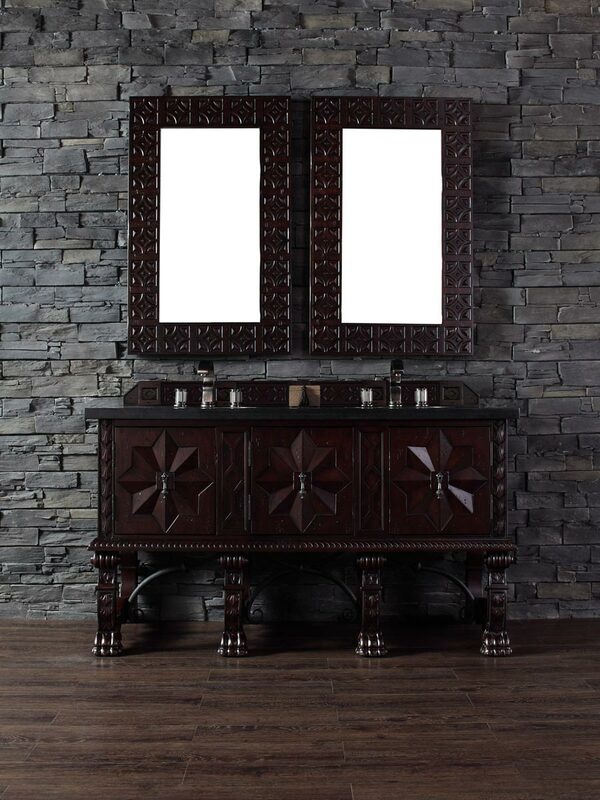 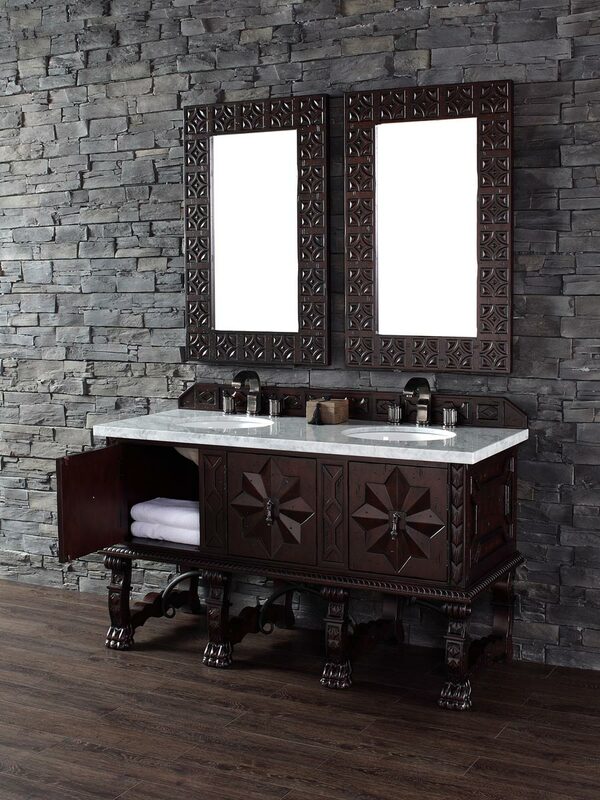 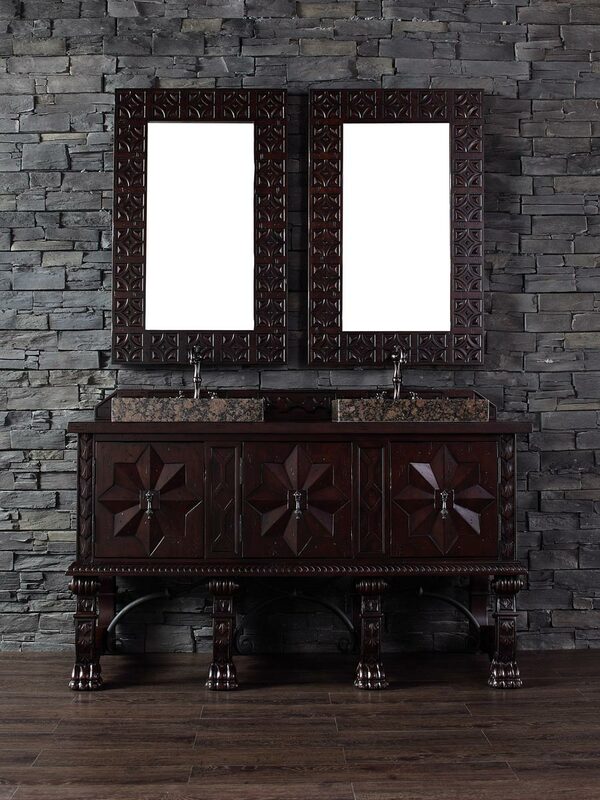 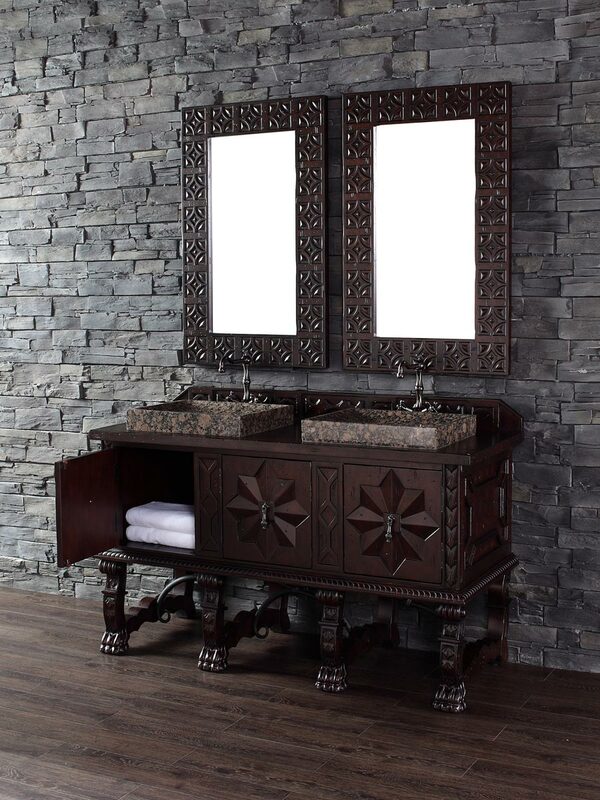 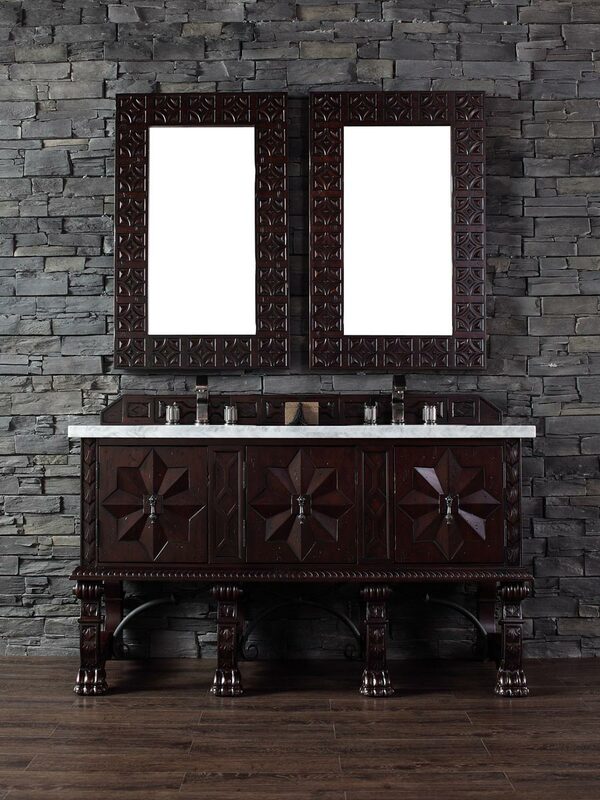 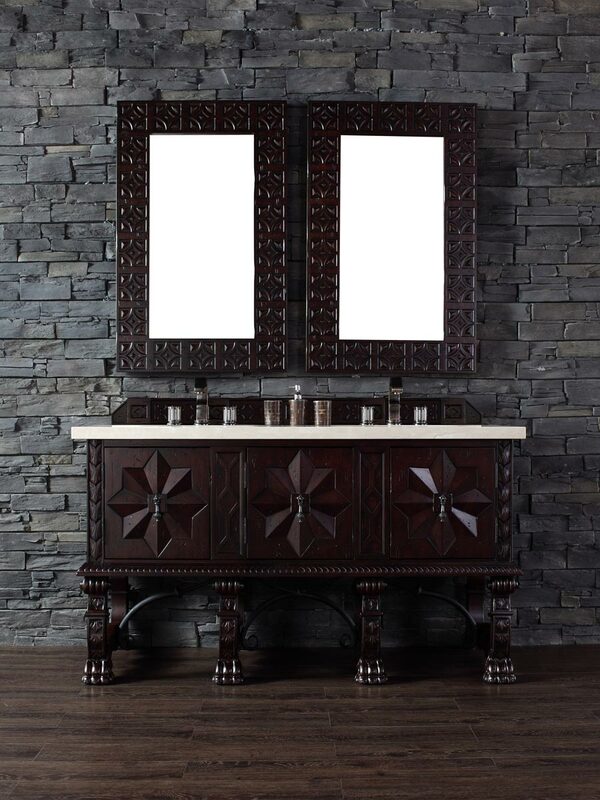 This attractive vanity features three single-door cabinets, each with beautifully hand-carved details all along its fronts, giving you an attractive way to store your bathroom accessories. 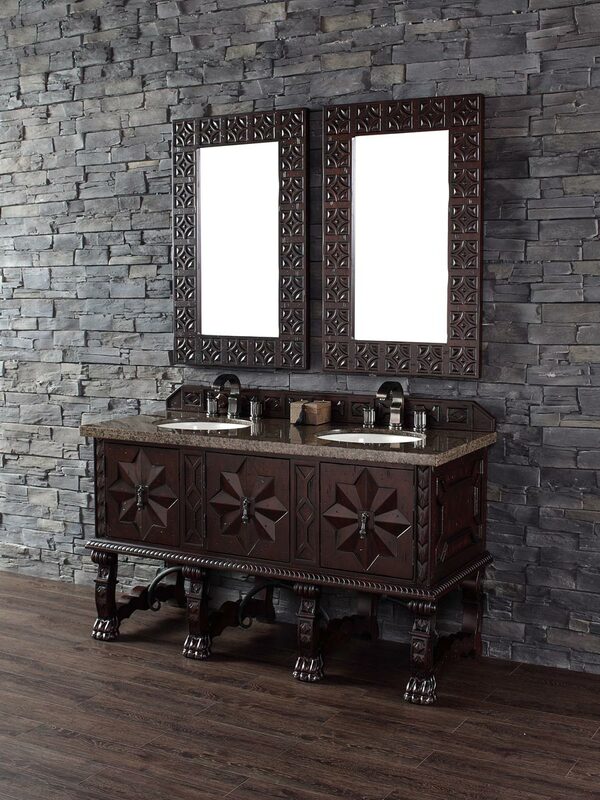 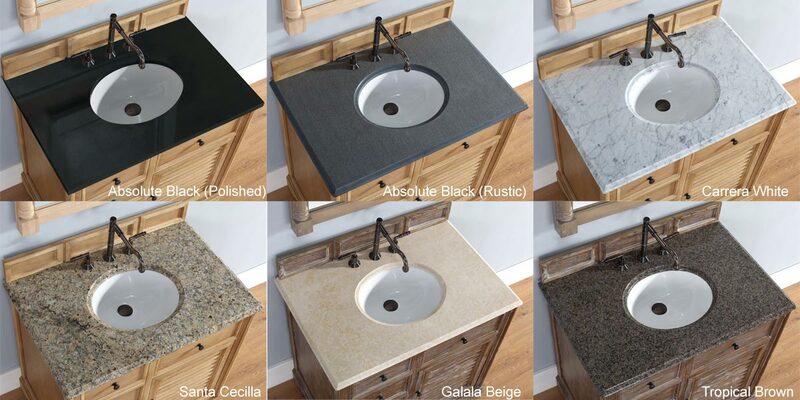 Choose from 7 beautiful stone tops or have a matching wood top give the Balmoral an even more rustic appeal. 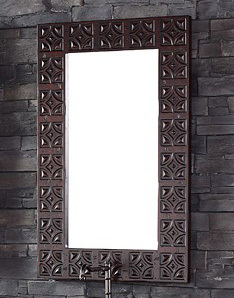 Matching mirrors are also available for a complete look.